March 06, 2017 - Traditional Portuguese boats on Douro river, City of Porto, Portugal. Panoramic view with bird in cloudy weather. 4k00:20March 06, 2017 - 4K. 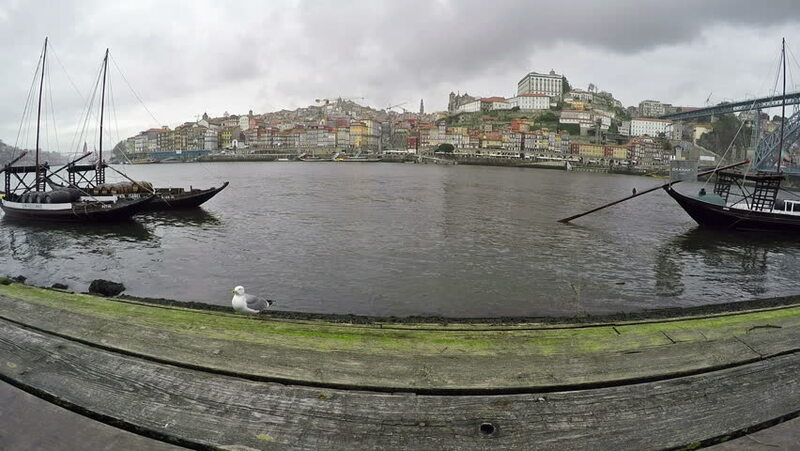 Traditional Portuguese boats on Douro river, City of Porto, Portugal. Time Lapse in cloudy weather. hd00:22Barge and Tug Boat passing through the Locks at The Dalles, Oregon on the Columbia River. hd00:27Sea lighthouse. Exit to the open sea..